Now, we don’t usually offer energy bars at Citybikes. When Brody came in with his better bars, our chorus was “YUM”. 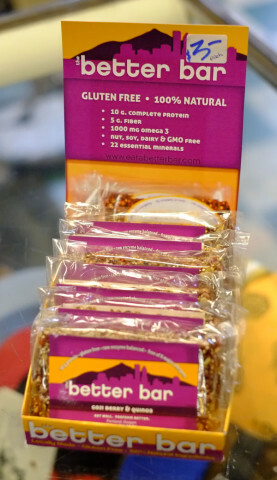 They are locally made, super tasty, energy-riffic, reasonably priced, Dark Chocolate or Goji Berry, and they even come in a compostable package! We’re eating them up ourselves, and selling them like hotcakes. Right now we just have them at the Annex (734 SE Ankeny), but soon at both shops.